V četrtek, 6.augusta 2015 zjutraj je v Marian Nursing home v Parramatti umrl eden od njmočnejših stebrov Slovenske skupnosti v Sydneyu, Anton-Tone Stariha. Tone je bil doma iz vasi Praproče v Beli Krajini. Že v zgodnjih letih mladosti je na vaškem plesu srečal dekle, ki mu je ostala v srcu za vedno. Več let kasneje, ko je že odslužil vojaško obveznost, sta se spet srečala in ostala v stikih tudi kasneje, ko je zapustil domovino in našel delo najprej v Nemčiji, nato v Holandiji in nazadnje , leta 1957 v Avstraliji, kjer je že prej bival njegov brat Vid. Pogrebna sv. maša je bila v sredo, 12.8.2015, ob 10.00 dopoldne pri Sv. Rafaelu v Merylandsu, ob 9.30 rožni venec. Pokopan je na slovenskem pokopališču v Rookwoodu. 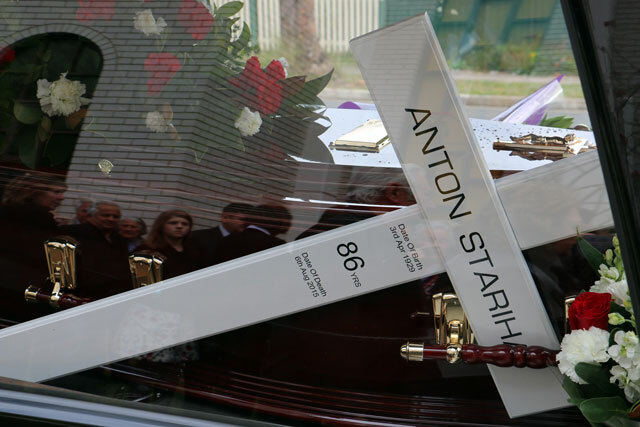 Anton Stariha was born on 3rd April 1929 - in the region of Slovenia known as Bela Krajina, in a small village Praproce near Gradnik, which is in the Parish of Semic. Slovenia was then a state of Yugoslavia. Dad’s father Joze, was born in the same village and in the same house in 1895. His mother Neza, whose maiden name was Konda, was born in 1902 in the neighbouring village Gradnik. It is through Neza, my grandmother, that we claim to be distant relatives to the family of Tone Konda here in Sydney. Dad was born between the two world wars, at a time when German Nationalism was rife and the rise of the Nazi regime growing by the day. They survived the war years largely unscathed, but I am guarded in saying this because I am sure there are stories that have never been told, which left indelible marks on their lives. This is likely to be common for most of our migrant parents from the Europe of that time – it is inevitable that the trauma of war certainly shaped Dad’s life. Dad grew up on the family farm, working the fields and learning his skills with his brothers and sisters, through the many adventures and opportunities that only a farm could bring. In 1949 at age 20, dad was called up for National Service in The Yugoslav Air Force. He was stationed both at Pula and Zemun in Croatia for 3yrs. 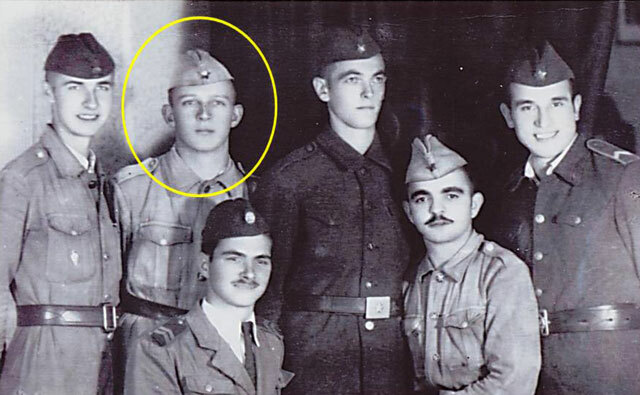 In 1952, aged 23, during one of his visits home on leave from national service; he went to a Gasilski Picnic in a nearby village “Cresnjevec”. (For those of you wondering what this is, it’s like the RFS here in NSW holding a local BBQ). At this gathering there were many people young and old, families with children, grandparents and single young adults from the village and its surrounds. Cresnjevec is one of the larger villages in this region. During this Gasilski Picnic dad noticed an attractive young girl helping out with serving the food and drinks. Dad being a shy young man eventually built up enough courage to talk to this young girl and introduce himself. He discovered her name was Toncka Ivanetic, and that this village “Cresnjevec” was her home town. Toncka was then all of 17yrs old. On another occasion that Dad was home on leave, he attended another Gasilski Picnic. After the picnic some of the young adults gathered at a house in Praproce for a Sunday afternoon party. Mum went because she was friends with Dad’s sister Stanka and another girl Anica Kambic, Dad’s friend, Henry Kambic’s sister. Because mum had to be home early to take the cows to pasture, Dad offered to walk her home, but only halfway. When I asked why only halfway? mum said “so that he wouldn’t have so far to walk back home”, but I suspect that it was more so that she arrived home on her own. Mum said that Tone was very shy and though they talked and joked all the way; that he was a real gentleman and that nothing inappropriate happened. From then on whenever Dad was home on leave they would somehow catch up with each other. Dad finished national service in 1953. He was 24 when he came home to work on the family farm. 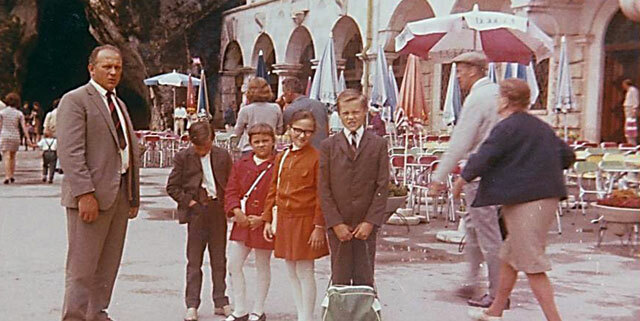 During this time Mum found work as a nanny in Ljubljana. Whenever she would come home they would meet at Gasilski picnics and at other opportunities. It was at this stage they felt that their relationship was growing. Mum gave Dad her address in Ljubljana, so that he could visit her. Aged 26, in 1955 after a long period trying to find work opportunities, Dad decided to leave Slovenia to look for work. On his way to Germany he went to visit his sister Marija in Ljubljana and took that opportunity to take mum on their official first date. They went to a restaurant and then a movie. This is when he told mum he was leaving Slovenia and going to Germany to look for work and asked her if she would follow him if he found it. Dad left Slovenia with a passport to stay with relatives in Stuttgart. When his visa expired he went to live in a migrant camp in Nuremburg. In Nuremburg Dad met Emil Kukovec. They worked together in Stuttgart and at Christmas they returned to Nuremburg where they formed a choir to sing for their Christmas celebrations. They had developed many friendships during this time. Emil found out that Holland was looking for workers. 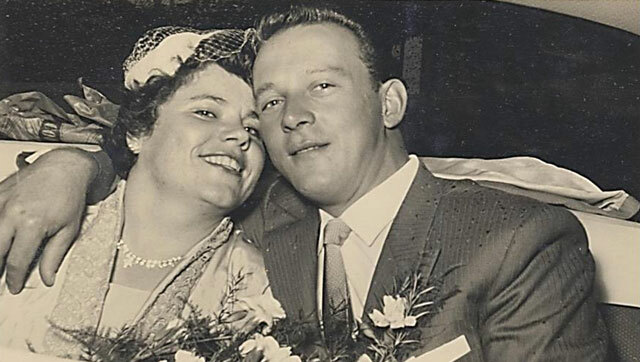 So in February 1956 with other Yugoslav and Hungarian migrants they travelled to Holland. Dad found accommodation with a family in Dordrecht and worked in the timber industry. Here he stayed until he was accepted to migrate to Australia. In Australia his brother Vid who was already working on the Snowy Mountains Scheme was waiting for him. Dad boarded The s.s Waterman, a Netherlands line in late March 1957, and sailed from Rotterdam arriving in Sydney early May 1957 He was now 28. Vid met dad in Sydney and together they went directly to the Snowy Mountains where dad got a job working in the tunnels. Dad preferred working outdoors and was soon looking for other work. Fortunately for Dad he not only had a brother in Australia but also his uncle Anton Konda who had been in Australia since 1929. He was working on a sheep station in Jerangle. Dad eventually got a job on the same farm. 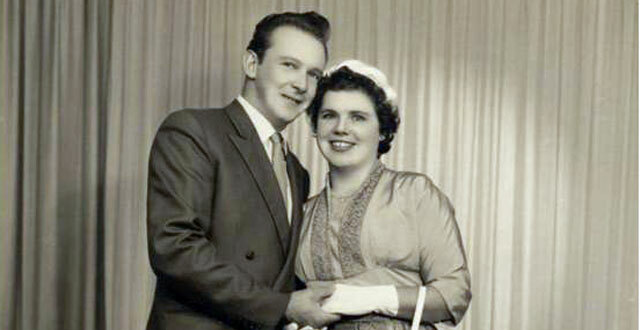 Dad was now 29 and during 1958 he proposed to Mum – long distance! This was the start of their new life together in Australia; they hurriedly arranged a proxy marriage with Dad’s brother Stanko standing in for Dad in Slovenia. This allowed her to travel to Sydney arriving in January 1959. They were married that March in St Patricks Church Wynyard by Dr Ivan Mikula. Dad’s brother Vid and wife Cvetka were witnesses. By this stage Dad was 30. They lived in a number of locations when they were first married. 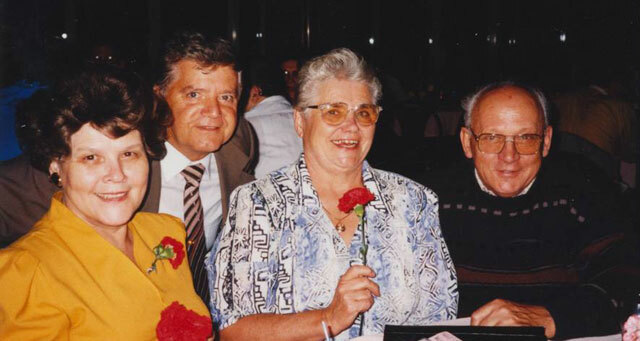 First with Anton & Marija Stukelj in Artarmon; then with Cvetka’s brother Joze Skala in Mt Colah; then they rented a shared house in Stanmore and finally they settled into a home they built together in Merrylands. This has been the Stariha family home since 15 August 1962 and it still is today. 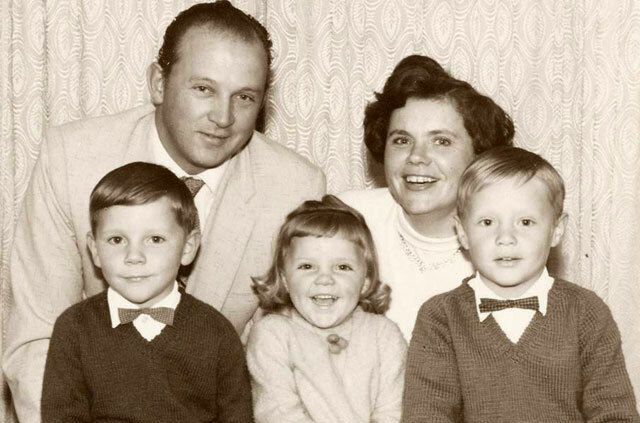 When Dad moved to Sydney he gained work at the Department of Main Roads as a labourer and then moved jobs to a company called Bowsers as a Spray painter. Here he joined his brother Vid and mutual friends Henri Kambic and Franc Vrtel. In 1970 Dad changed jobs again and gained work with Coating Services where he re-joined his friend Emil Kukovec who was already working there. Dad retired from this job in 1994 at age 65. 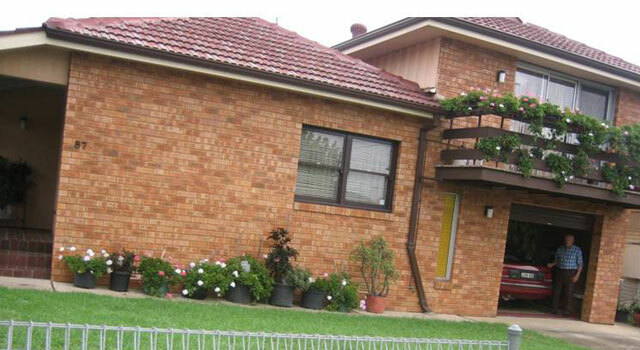 Dad had worked on many projects in Sydney, Canberra and Melbourne. He even travelled to Fiji for a few months of work there. He was very proud to have worked on the Sydney Opera House and also painting various furnishings for the new Parliament House in Canberra. In 1960, Dad was 31, while living in Stanmore I arrived. 1 year later my brother Mark arrived and just when we moved into our new house in Merrylands in 1962 Jenny arrived in February 1963. We grew up in this house with our hard working parents. Life was difficult at first, Mum & Dad had no family support for child minding, and they were far from health services. They quickly made lifelong friends with their neighbours who helped support them. We were the neighbourhoods New Australians as they called migrants of that time. We three kids as children have only great memories of this time. Dad also had two sisters who migrated to Sydney. I think he thought himself lucky at the time that at least he had some family here in Australia – Vid, two sisters – Marija and Toncka and an uncle – who we called “ujc”. He would help and support them as much as he could as they would him. 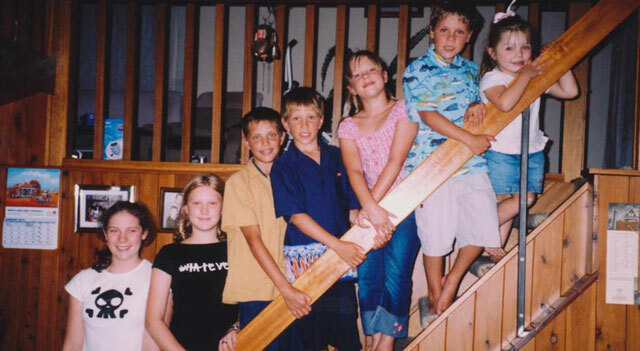 In the early years we would often get together with our cousins. 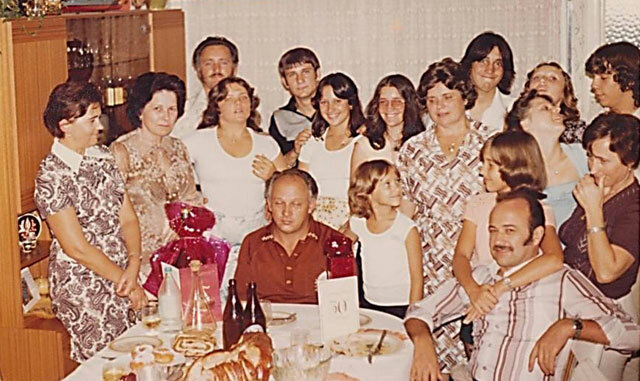 There are many photos of our family parties. We had great times together. 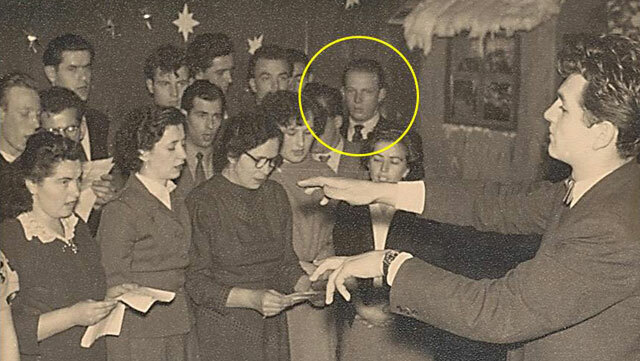 From the time dad first settled in Sydney he was involved with the Slovenian community. 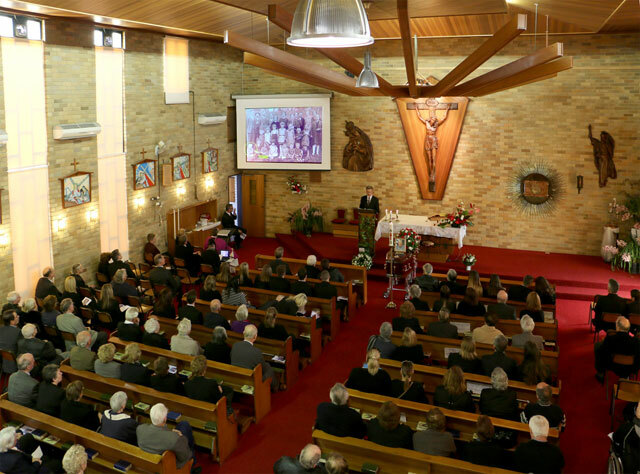 He helped and supported the various gatherings which eventually morphed into Slovenian clubs and the Slovenian Catholic church here in Merrylands. He painted walls, cleaned bricks and helped build things for the community. He was a hands-on man and glad to be so. 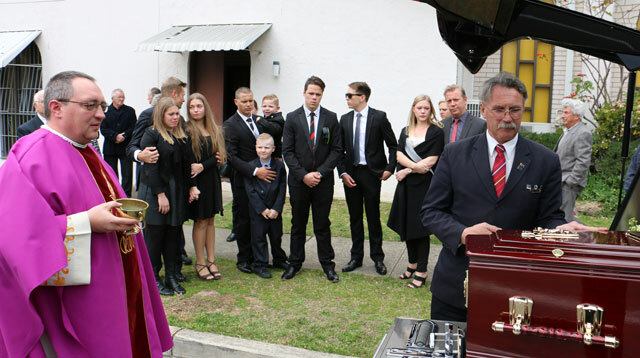 His avid commitment to community also instilled a sense of commitment to the Slovenian community in Mark, Jenny and myself and we also became involved in various degrees and at various times. Dad supported us in all our sports and school activities. This was the time when you were still able to legally load up the back of the family car with the whole football team and travel to your game. No seatbelts, arms and legs everywhere. Dad would drive us all in his new Holden station wagon. There was swimming, cricket, rugby, soccer. He had time for all of it and for all three of us. 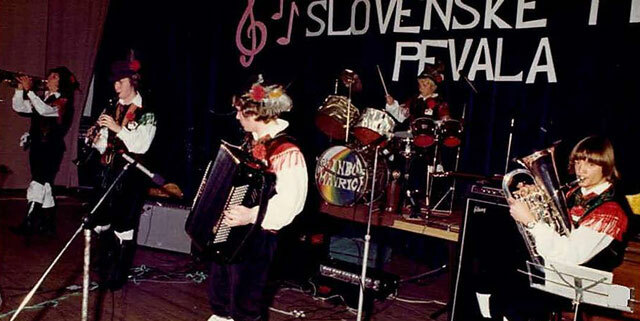 In 1970 Dad introduced us to Slovenia. 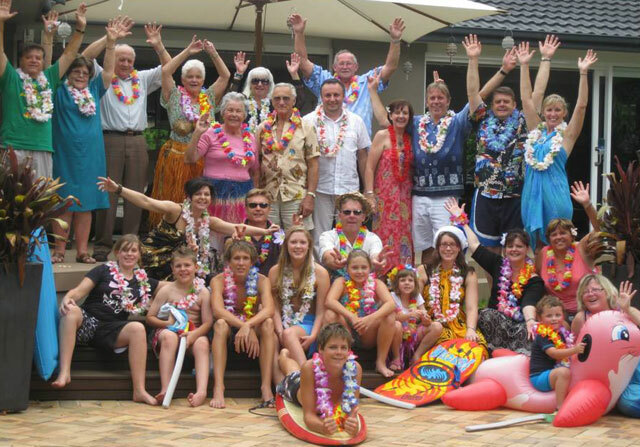 We met our grandparents, aunts and uncles and what appeared to be hundreds of cousins. 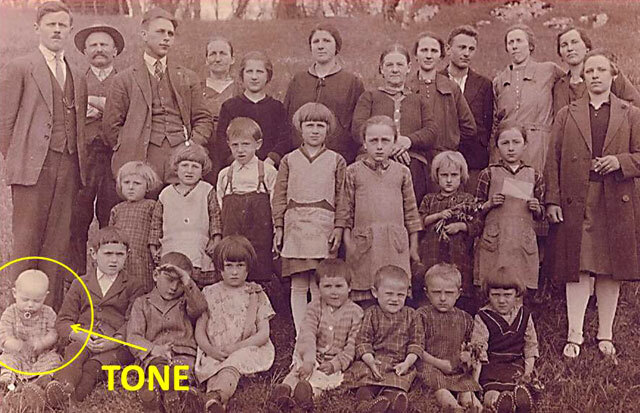 We seemed to have family everywhere in Slovenia – I guess that was the legacy of no TV back then. We had no idea that we were part of such a big family! And through this visit mum and dad introduced us to the rich heritage of our Slovenian roots. It was the beginning of discovering our family origins and this first trip spurred many more afterwards. We became very aware of Slovenia and Slovenian culture after that first trip. When Mark and I became interested in music at school, Dad would drive us to practices and performances wherever we went. He would wait for us, watch us, and then drive us home. He supported us 100%. Especially when we started playing traditional Slovenian polkas & waltzes with Martin Konda. The catalyst for this may have been our first visit to Slovenia a few years earlier. He was so proud of us we could feel it in all his support for us. Dad was building an extension on our house in the early 70’s. Because Mark & I were involved with so much music at the time, Jenny became his assistant/ labourer. She was the one that helped Dad build this extension. Jenny will constantly remind us of this pointing out that we are the ones that missed out. She and Dad had that special bond that only Fathers and daughters have and this only reinforced it for her. Dad & Jenny travelled together to Slovenia again in 1978. Jenny had many very special moments with him. Dad’s proudest moments were when his children found their partners and started their own independent lives. He was always proud of his daughters-in-law, Miriam & Irene. For Dad this family addition was very special also because he respected the families they came from. 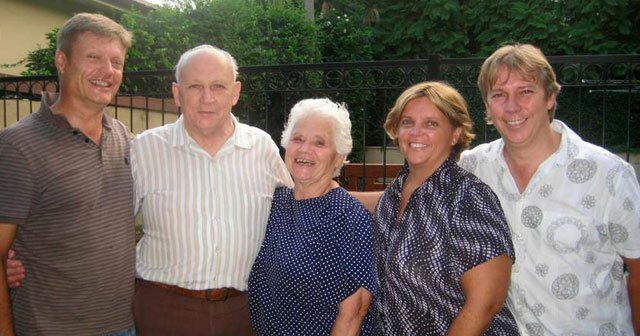 The Kuznik family and the Bavcar family. This was the start of a very special bond between these families which he really cherished. He especially loved it when we would all get together at Christmas, and other family events such birthdays and so on. 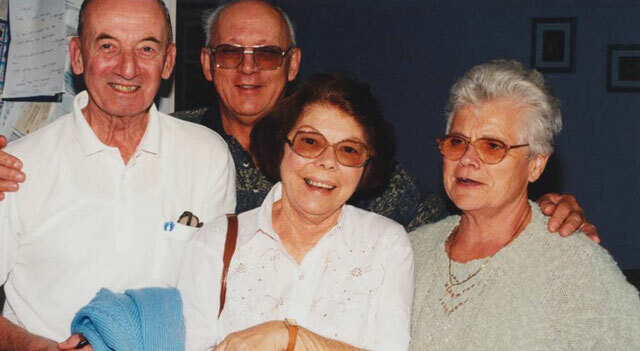 As the years went on the families grew and in 1990, Jenny brought the Bleesing family into our fold. Pat and Bill Bleesing, now both deceased, were an endearing couple along with their daughter Cindy and her family. Dad shared many lovely times with them too. Love sometimes doesn’t work out and Jenny parted ways with her then husband, but that union produced an enduring legacy in Dad’s wonderful grandsons. 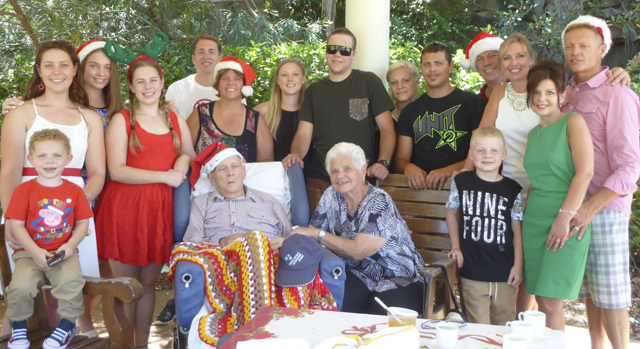 Dad was also very happy for his eldest grandson, Joshua who introduced his partner Belinda and her son Kyle into the family. Dad accepted Belinda with all his love, as did all of us. Dad also treated Kyle as one his own grandchildren. How couldn’t he, Kyle is the sweetest young man, very inquisitive and polite. Josh and Belinda soon gave dad his first great-grandson Brodie. He was a very proud great-grand-dad, but sadly this was also around the time he had already developed obvious signs of his condition. Brodie will however grow up knowing that his great grand-dad was a good man and loved us all, especially him and his brother Kyle. Large family events became more & more frequent. This has brought us all closer. Yes, at times we would squabble, but this squabbling has always been resolved because the overriding desire in our three families to stay together has been greater. 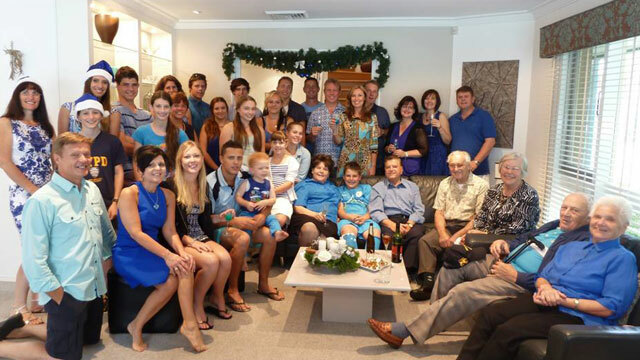 We have, in effect, become our own extended family in Australia. I guess making up for the part of the families that have been left behind in Slovenia. This made dad very happy. Over time his family in Australia has grown. All together there are 16 of us. This includes 7 grandchildren and one great grandchild. Kara, Lana, Joshua, Luke, Lauren, Mitchell and Kate, and great grandchild Brodie. His favourite I believe was his first, even though he would never say it. Kara who can’t be here with us today, she would always go out of her way to visit him and sit with him playing his beloved accordion, even in the nursing home which I know delighted the staff and the other residents of the home. 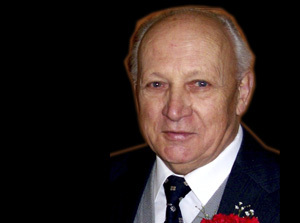 Dad suffered from Dementia. This horrible condition imbibed the memories out of his soul. We would often visit him and you could see that he knew he knew you, but sadly not who you are. That was the hardest for all of us and I’m sure that frustrated him too. The windows of his soul were his eyes and when they were open, we could see the love he had for us right up to the day he left. Dad was usually a man with not many words. He was quiet and humble and worked hard for his family to give us the opportunities he did not have. But he had an adventure, the kind that we kids will not have. He planted the seed for a new branch of his family here in Australia and for that we are eternally grateful. Today we give thanks to God for Dad’s life and we give thanks to Dad for the things he endured in his life in order to give his family the best life he could possibly could.